With Lent fast approaching (wasn't it just Christmas?? ), my thoughts are turning to how we can include our girls in our Lenten goals of prayer, fasting and almsgiving. 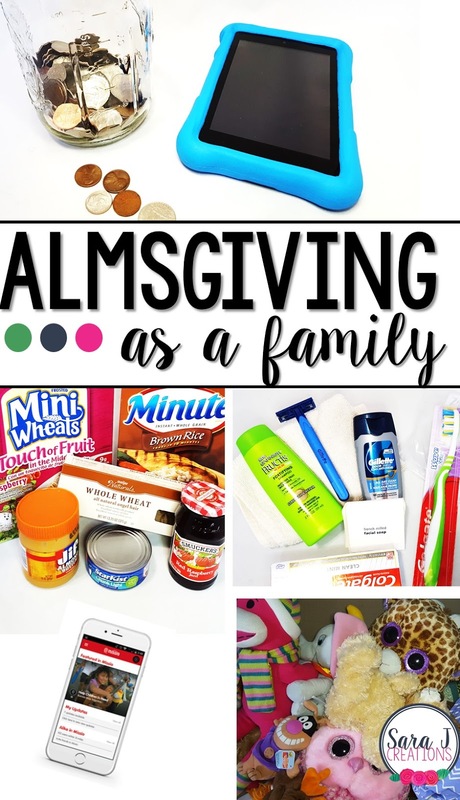 I was trying to think up ideas that we could do with our young girls, but thought I would share in case other families need some ideas for almsgiving activities as a family. It is easy to think, they are young, they don't fully understand, but it is possible for them to understand especially if you do these activities as a family. If you are a classroom teacher, you could even do some of these ideas as a class. Making hygiene kits for the homeless is one way we've found that we can include our young children in caring for the hungry, homeless and needy population in our area. My dad works directly with a ministry and hands out food and necessities to the homeless each week. We often just ask what their greatest need is and then as a family we purchase it, package it and give it to my dad to put directly into the hands of those who need it the most. We often do this at Christmas time, but it would make a great Lenten activity as well. This past year, the greatest need was thick mittens, socks, hats and ski masks. Most years we put together hygiene kits. The girls help me shop for all of the items, carefully counting out how many we need. Then we create a sort of assembly line at home and they help me stuff each bag. Our church also collects similar items in shoeboxes that they distribute to the homeless. We also have a ministry that collects peanut butter and jelly and items that can be packed in a lunchbag and then on the weekends they prepare and distribute lunches to the homeless. Check with your church or homeless shelters in your area to find out what the greatest need is that your family could help supply. Growing up I remember Rice Bowls were handed out for Lent usually during Catechism class. We were expected to fill the bowls with money, return them and the money was then given to a charity. At least that was my understanding of it when I was a child. One year, my parents took the bowl and set it on top of the tv. In order to watch tv during Lent that year, we had to put money in the bowl. It was no problem for me because I was a saver and I think I had started babysitting at that point. So I quickly whipped out a $20 for the bowl and was allowed to watch as much tv as I wanted while my siblings scrambled for coins. Imagine with all the screen time we have today, how much money a family could raise. Want to play the iPad? Put some money in the bowl. Want to watch a tv show? Show me the money! You want to play a game on my phone? Sure, pay up first!!! This is a concept that even my young daughters could understand. If they want to play with a screen, they need to pay money from their piggy banks. Depending on the age of your children, you could set certain amounts of money for a set amount of screen time. Also, decide as a family where that money will be donated to at the end of Lent, whether you use an actual Rice Bowl and donate the money to them or just collect the money and choose a different charity. Not only a lesson in giving but also a lesson in sacrificing when you don't get to have screen time because you don't have the money to pay for it. 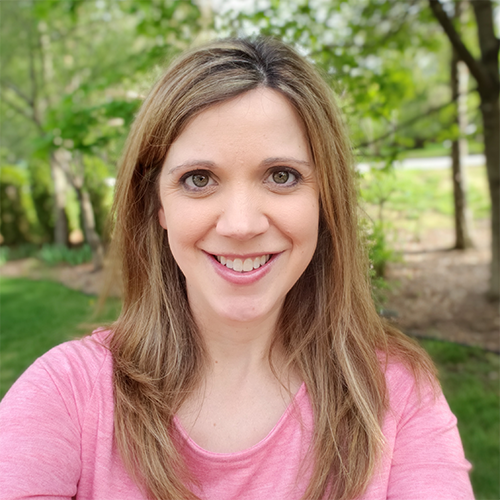 Have your heard of the app MISSIO? It was launched by Pope Francis as a crowdfunding platform that puts you in direct contact with charities and projects that need your help. You can donate from the app, as well as watch the progress and stay connected to see exactly how the money is being used. This is such a great way to make helping others in the world more tangible for children. Often we talk of donating money or resources to help others in foreign countries, but that can be difficult for children to grasp because they can't see how great the need is or the progress that the supplies and resources are making. This app would be a great way to donate to a cause as a family during Lent in a way that children can see and understand. Decide which project you want to support, send money, watch the progress and connect with the change makers that are on the frontlines and supporting the poor and marginalized. Here is a quick video overview of the MISSIO app. If there are two things that families with kids accumulate, it is clothes and toys. We are bursting at the seams with both of these things with only two kids. We talk about donating some of it, but then worry that we will need it still for our youngest. However, this Lent, we are going to go through and set aside some clothes and toys that we could give to families that need it the most. Check with a donation center in your area or see if your church is collecting and donating clothes. St. Vincent de Paul, The Salvation Army, and Purple Heart are a few of the charities in our area that will take donations. Have your child help you with this as hard as it is. I would love for my children to go away for a weekend so I can go through and donate (and pitch) the toys that we no longer play with. It would just be easier that way, I know it would. However, I'm not teaching my children anything by doing it secretly in hopes that they don't notice what I got rid of. I want to include them, even if they only pick one thing to donate, at least we can start teaching them that other children don't have all of the toys that they have and that we should share what we have with others. Another idea for sharing with those less fortunate, is to collect food to help stock a local food pantry. This would be a great activity for a classroom to do. If each student brings in just one item, you already have 30 (give or take) items to donate. As a family you could set out a basket and go through the pantry together looking for items to donate. I remember my mom always telling me that were weren't supposed to go through and pick out the things we didn't like that we wanted to give away. Giving away a favorite box of mac and cheese could be a great lesson in sacrifice as well as giving to the poor. Another way to do this would be to buy extras at the grocery store. Set an amount like 3 items for each time you are at the store. I know I run to the grocery store sometimes multiple times a week and if each time the girls helped me pick out three items that we could donate, we would accumulate a lot of food by Easter. These are just a few ideas that are simplistic enough that children can participate, yet they make a big difference in the lives of others who need our charity the most. What ways do you plan to include your children during Lent this year?